This is a great lunch size serving. 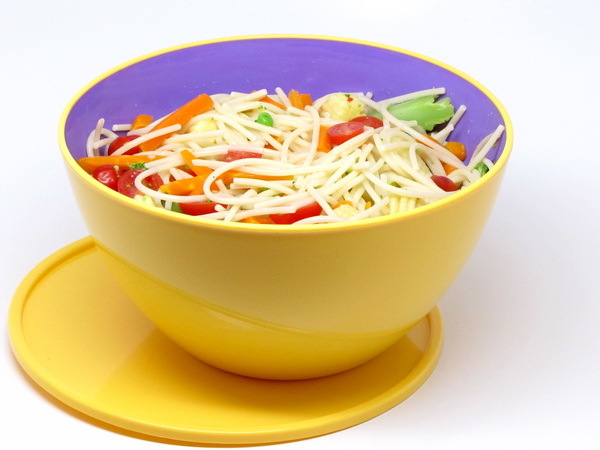 You could also halve the portion and serve as a dinner side. 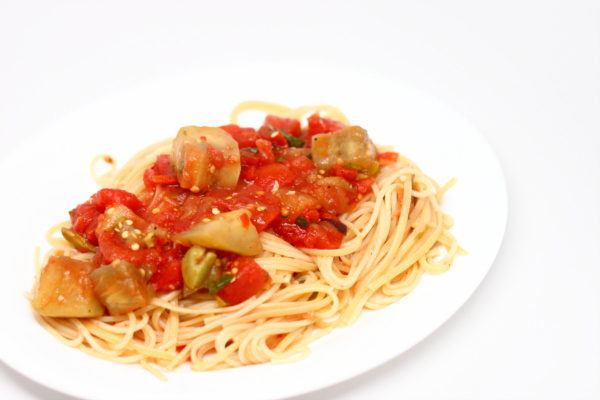 The pasta and veggies are just a perfect lunch ! Cook spaghetti according to package instructions and in the last 5 minutes, drop in the frozen veggies. Drain and rinse with cold water to cool down. Toss pasta mix and the rest of the ingredients then cover and refrigerate at least 1 hour so flavors blend. Mark this down as another of those recipes that you will make again and again. Some of the noodles get a little crunchy from the oven and it makes the dish that much more enjoyable. 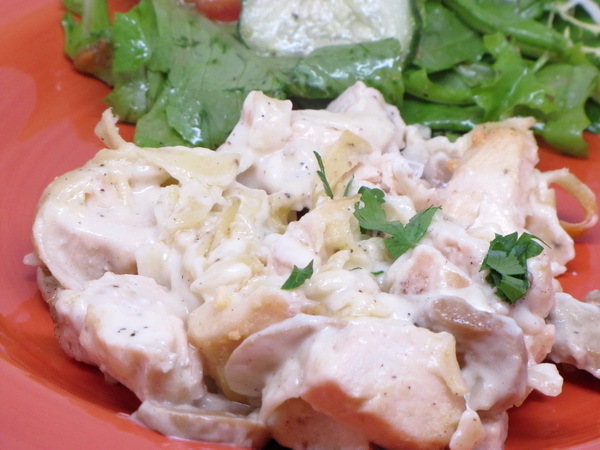 Tetrazzini is usually made with spaghetti, but I like using fettucine noodles sometimes ! 7 oz. FiberGourmet pasta (fettuccine noodles or spaghetti) – without FiberGourmet pasta, this dish will not come in under 400 calories ! Heat oven to 350 degrees. Cook pasta according to package instructions. Melt margarine on low heat and stir in flour, salt and pepper and stir constantly until smooth and bubbly then remove from heat. Stir in the broth and cream and then heat to boiling stirring constantly and cook 1 minute. Then stir in water, pasta, chicken and mushrooms. Put into a baking dish and sprinkle with cheese and bake ½ hour. 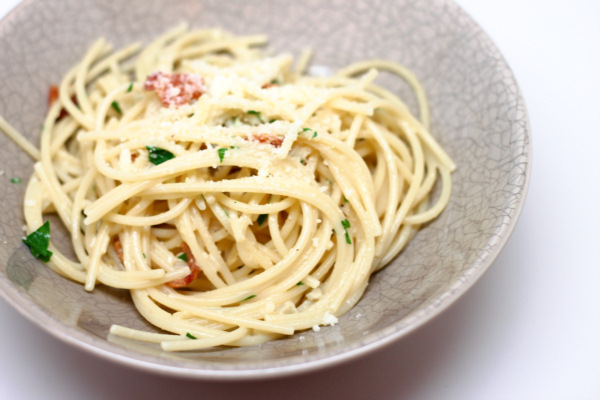 There is an Italian dish called Spaghetti Aglio e Olio (spaghetti with garlic and olive oil) – the way it sounds and not being able to pronounce it, my daughter used to say we were having ‘Spaghetti Hallelujah’ for dinner. It still makes me giggle whenever I think about it 🙂 This recipe is for a similar dish, but with some added shrimp to make it a great complete meal. 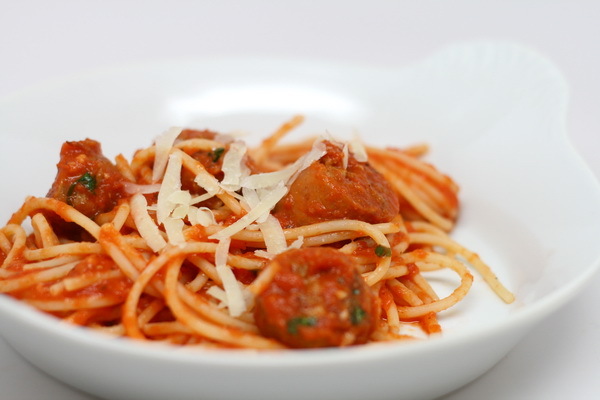 It is one of my favorite Italian dishes – so simple yet scrumptious… like some of the best homemade dishes. This version removes a lot of the oil replacing it with chicken broth to save a ton of calories. The flavor profiles are still there, though and while not quite authentic, this is a great low cal version. Spray skillet with Pam and add garlic and mushrooms and cook 4 minutes. Add shrimp, basil, oregano, salt, pepper, and garlic powder and cook another 4 minutes or until shrimp get translucent. Cook linguini according to package instructions. Drain, cover and keep warm. Add broth to skillet and bring to a boil then reduce heat and simmer. Stir in parsley and cook another 4 minutes to meld flavors. 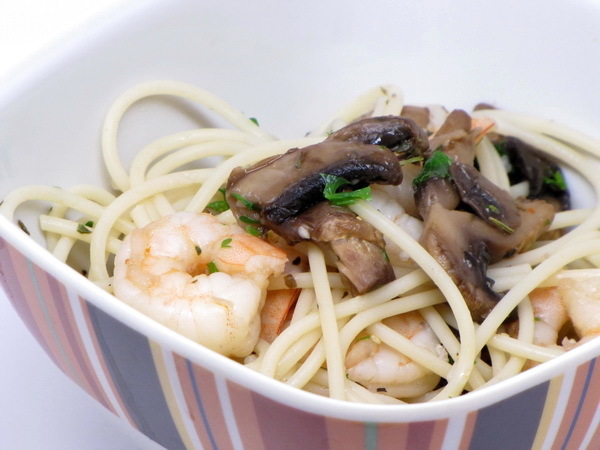 Mix shrimp mix and pasta together with oil and serve each portion with 1 T of parmesan cheese over the top.